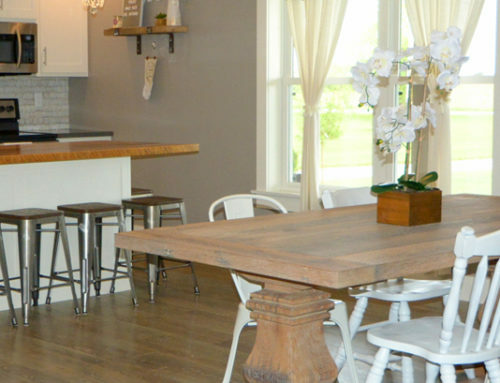 Much of the wood used in our feature project, The Potting Shed, was reclaimed from a barn in Springfield, Ohio. The owners of that barn recently reached out to Tuscarora to share a little background to the barn. 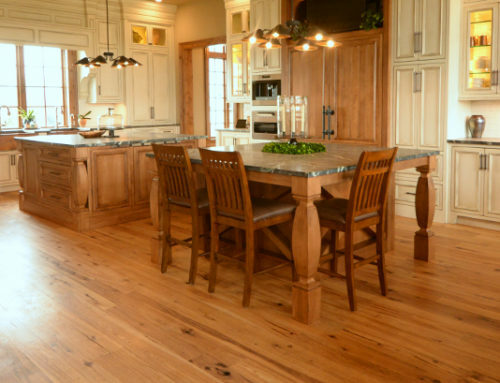 We love hearing the history and back story of the reclaimed wood we work with. These stories add to the uniqueness of the wood and allows for each project to have a long history and story all it’s own! 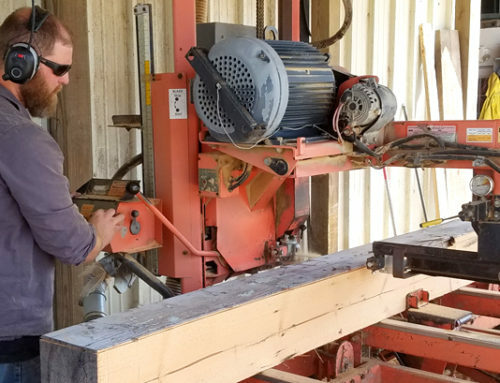 Below is the back story of the Hess family farm and reclaimed barn wood used in The Potting Shed project. 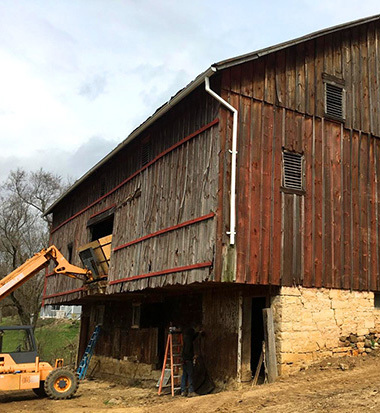 We are the owners of what was the big red barn in Springfield that ended up being used as siding for The Potting Shed, and we couldn’t be more pleased to see that our barn has a new lease on life in a different form! It’s estimated that the barn was probably built around 1860 which is consistent with the history we have on it and the farm house. My parents had heard that the farm was originally deeded to a freed slave, but I’ve never confirmed that myself. Sure wish those old beams and siding could talk! My parents bought our 40 acre farm in 1962, and our family raised many horses, ponies, club calves and market hogs for 4-H and FFA in that barn. 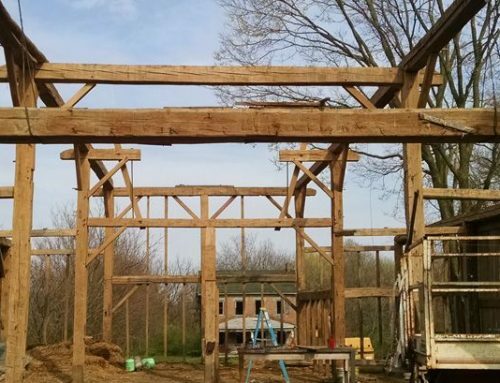 Unfortunately, the years and the weather took their toll on some of the large beams supporting the roof and the limestone foundation was also becoming unstable. 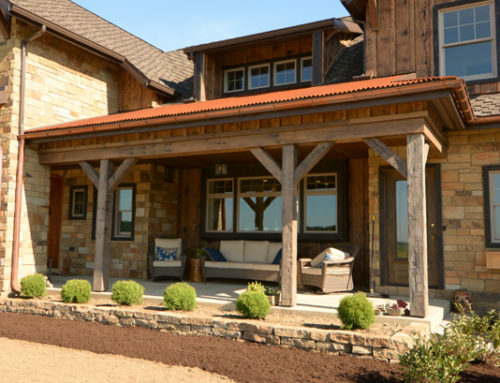 My husband and I decided that the barn just didn’t fit our needs anymore and that we wanted to build new. It’s so nice to see that the old barn has a new purpose and that we now have a new barn that is safe and meets our needs. Read more about The Potting Shed here.